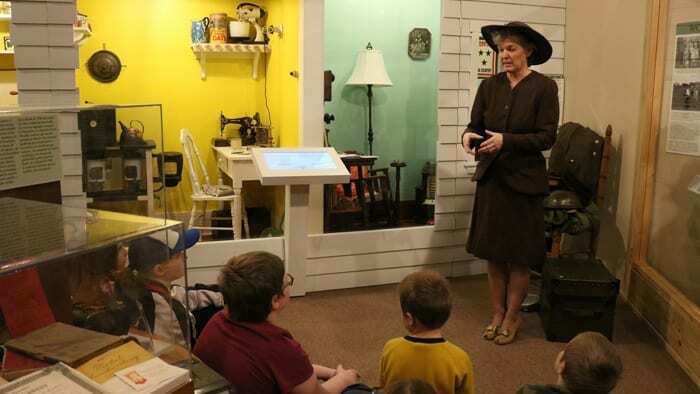 Here at the Shiloh Museum of Ozark History, one of our primary functions is to serve as an educational resource for teachers and children. All our school programs are free of charge and are designed to meet grade-appropriate curriculum frameworks for grades K–12. We offer field trips and visits to the classroom, discovery boxes and artifact boxes for loan, and professional development workshops for teachers. Join the fun as we bring the past to the present! Sign up for our Educator eNewsletter. All field trips meet Arkansas Social Studies and Common Core State Standards curriculum frameworks. Optional writing assignments are available for most programs. Program activities will vary based on grade. Maximum of 30 students per rotation. Learn how fibers like wool and cotton are processed and turned into clothing through demonstrations and hands-on activities. See seasonal programs for our annual Sheep to Shawl event. Common Core ELA: Speaking and Listening; Language; Literacy in History/Social Studies. Social Studies: Scarcity; Cost and Benefits; Change Over Time. Maximum of 30 students. See a live sheep being sheared, wool spun into yarn, and yarn woven into cloth. Limited tour slots available. Common Core ELA: Speaking and Listening; Language; Literacy in History/Social Studies. Social Studies: Scarcity; Cost and Benefits; Change Over Time. 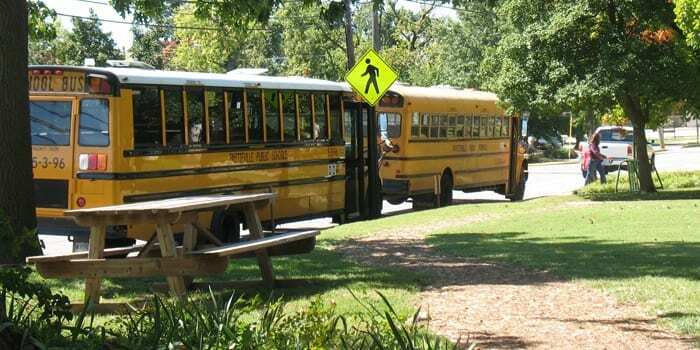 All field trips meet Arkansas Social Studies and Common Core State Standards curriculum frameworks. Optional writing assignments are available for most programs. Program activities will vary based on grade. To schedule programs or for more information, contact education manager Judy Costello; 479-750-8165. Available field trip times: Tuesday–Friday, 10:00–11:30 a.m. and 12:30–2:00 p.m. Other times may be available upon request. Class sizes: Class size depends on the program topic. See “2018-2019 School Program Topics” for details or download a program brochure. Chaperones: Because your students’ time at the museum is limited and valuable, we want to make sure they are able to get the most out of their visit. In order to help with organization and group management, we ask that your group include adult chaperones. Listed below are the recommended adult-to-student ratios for different grade levels. Kindergarten. 1 adult per 6 students. For example, a class of 7 students would need 2 adults; a class of 19 would need 4 adults. 1st through 5th grade. 1 adult per 10 students. For example, a class of 18 students would need 2 adults; a class of 23 would need 3 adults. 6th through 12th grade. 1 adult per 15 students. For example, a class of 14 students would need 1 adult; a class of 24 would need 2 adults. Food: Food and drinks are not allowed in the museum or on the grounds. You can arrange for picnics at Murphy Park, located on Pleasant Street next to the Springdale Library, Aquatic Center, and Youth Center. To schedule a pavilion, call the Springdale Parks and Recreation Department at 479-750-8185. Nearby: If your group has more than 90 students coming to visit the museum, we suggest that you divide your group and sign up for multiple field trip time slots. While one group visits the museum, the other groups can visit other Springdale attractions. Here are some student-friendly destinations. You’ll need to contact each organization directly to schedule your visit. Our Discovery Boxes are filled with artifacts, documents, photographs, and teaching materials for check-out and use in the classroom. 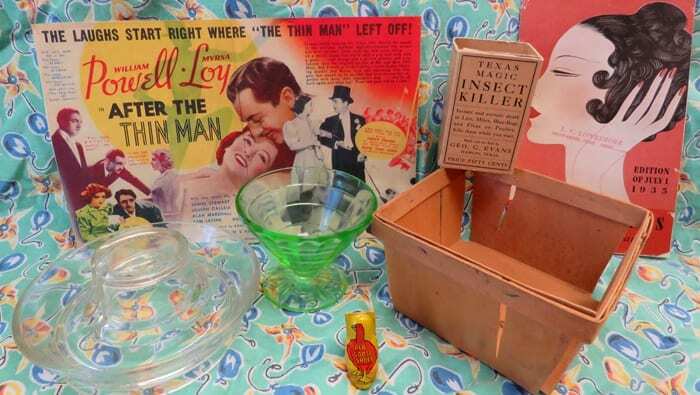 (Items from our “Great Depression” Discovery Box are pictured above.) To reserve a Discovery Box, contact education specialist Kim Hosey; 479-750-8165. DISCOVERY BOXES . . .
• must be returned on the due date. Late fees of $1 per day will be charged. Teachers may share the box with other classrooms, however, one person will be responsible for returning the box with all contents in good order. Click on the links to see pictures and information about each box. Artifact Boxes contain artifacts, identification guides with color photos, labels, and checklists. The artifacts are grouped thematically per box and labels are provided so that teachers may make their own classroom displays. Unlike our Discovery Boxes, we have not provided lesson plans and resources as the purpose of the Artifact Boxes is to share the many artifacts we have in our education collections with teachers who can use them to enliven any topic studied in the classroom, not just social studies or history. To reserve an Artifact Box, contact education specialist Kim Hosey; 479-750-8165. ARTIFACT BOXES . . .
We offer Arkansas Department of Education-approved professional development opportunities. Workshops can be taught at the museum or brought to schools. Teachers learn about our field trip and in-school children’s programs, and how these programs support the Common Core curriculum; teachers are introduced to our Discovery and Artifact Boxes available for loan. We also include a tour of our historic buildings and grounds and time to explore the exhibit hall. We can adapt any of our field trip programs for demonstration to teachers. This format includes a short introduction to the program and how it supports curriculum frameworks; teachers experience a pared-down version of the field trip program and participate in the activities their students would do. Teachers participate in a final session brainstorming pre- and post-visit resources they would use relating to curriculum frameworks and ways to improve or enhance the activities. Weaving on a loom is an engaging, collaborative way to teach a variety of subjects, including economics, history, and math. 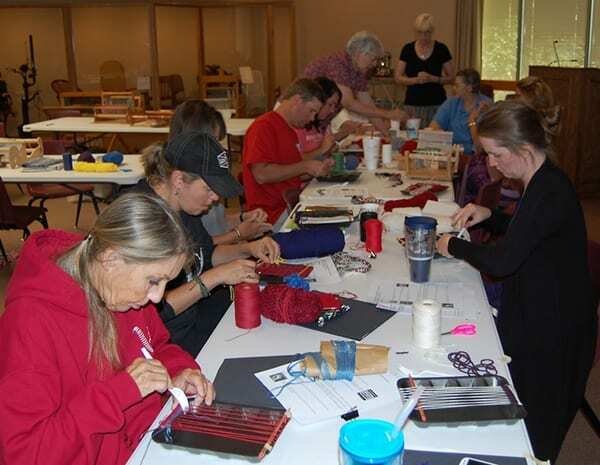 This hands-on workshop is a collaboration between the Shiloh Museum of Ozark History and weavers from the Northwest Arkansas Handweavers Guild and covers the tools and strategies teachers need to bring weaving into their classroom. The workshop will cover the history of weaving in Arkansas and the world, how to weave on a loom, how weaving fits curriculum frameworks, and extensions that allow students to create multiple products. Educators that attend the workshop will be able to check out looms from the Shiloh Museum to use in their classroom.